Inline assembly is typically disliked because of its poor readability and portability. Intrinsics hide complex stuff (like register count or stack memory) from you, which makes writing optimizations easier, but at the same time typically carries a performance penalty (because of poor code generation by compilers) – compared to hand-written (or inline) assembly. x86inc.asm is a helper developed originally by various x264 developers, licensed under the ISC, which aims to make writing hand-written assembly on x86 easier. Other than x264, x86inc.asm is also used in libvpx, libaom, x265 and FFmpeg. This guide is intended to serve as an introduction to x86inc.asm for developers (somewhat) familiar with (x86) vector assembly (either intrinsics or hand-written assembly), but not familiar with x86inc.asm. use RET (not ret!) to return. in your build system, this would be treated like any other hand-written assembly file, so you’d build an object file using nasm or yasm. Let’s explore and understand all of this in more detail. convenience aliases mmsize and gprsize to indicate the size (in bytes) of vector and general-purpose registers. For example, to write an AVX2 function using ymm registers, you’d use INIT_YMM avx2. To write a SSSE3 function using xmm registers, you’d use INIT_XMM ssse3. To write a “extended MMX” (the integer instructions introduced as part of SSE) function using mm registers, you’d use INIT_MMX mmxext. Finally, for AVX-512, you use INIT_ZMM avx512. allocating aligned stack memory (see “Using stack memory”). Using the first argument (sad_16x16), this creates a global symbol <prefix>_sad_16x16_sse2() which is accessible from C functions elsewhere. The prefix is a project-wide setting defined in your nasm/yasm build flags (-Dprefix=name). on unix64/win64, we have 7 or more caller-save GPRs available, so no GPR contents are pushed to the stack. on win64/unix64, the first 4/6 arguments are transferred through GPRs (rdi, rsi, rdx, rcx, R8, R9 on unix64; rcx, rdx, R8, R9 on win64), so no actual mov instructions are needed in this particular case. This should also explain why we want to use templated register names instead of their native names (e.g. rdi), since we want the src variable to be kept in rcx on win64 and rdi on unix64. At this level inside x86inc.asm, these registers have numbered aliases (r0, r1, r2, etc.). The specific order in which each numbered register is associated with a native register per target platform depends on the function call argument order mandated by the ABI; then caller-save registers; and lastly callee-save registers. Lastly, using the fourth argument, we indicate that we’ll be using 4 xmm registers. On win64, if this number is larger than 6 (or 22 for AVX-512), we’ll be using callee-save xmm registers and thus have to back up their contents to the stack. On other platforms, this value is ignored. mp: similar to m, but using a qword register alias and memory size indicator (e.g. on unix64 qword [rsp + stack_offset + 8] = r6mp = cntmp, but on 32-bit dword [rsp + stack_offset + 28] = r6mp = cntmp). DEFINE_ARGS is a way to re-name named registers defined with the last arguments of cglobal. It allows you to re-use the same physical/numbered general-purpose registers under a different name, typically implying a different purpose, and thus allows for more readable code without requiring more general-purpose registers than strictly necessary. RET restores any callee-save register (GPR or vector) from the stack that was pushed by cglobal, undoes any additional stack memory allocated for custom use (see “Using stack memory”). It will also call vzeroupper to clear the upper half of ymm registers (if invoked with INIT_YMM or higher). At the end, it calls ret to return to the caller. 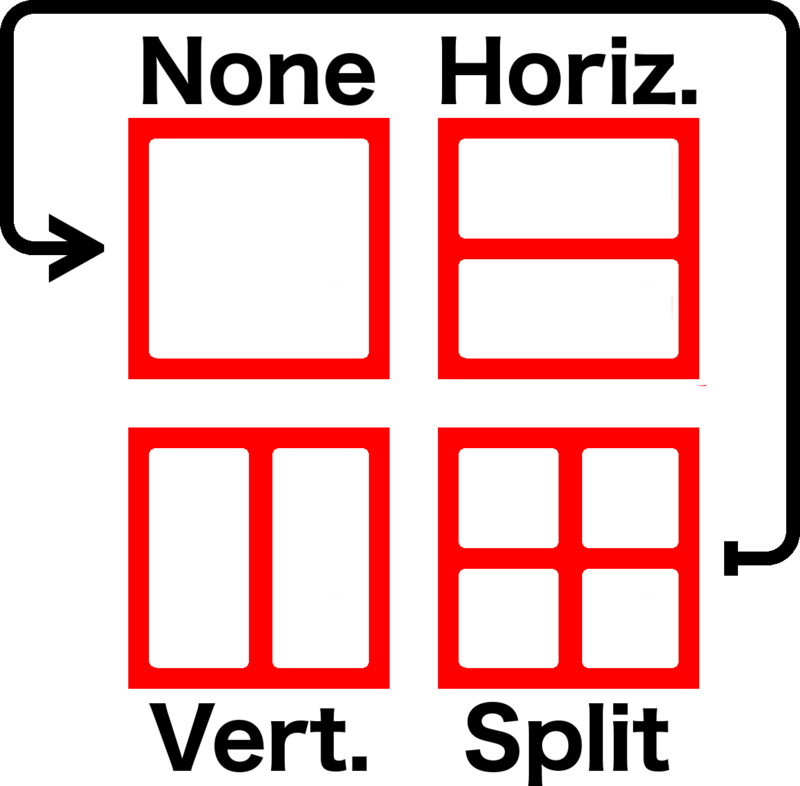 This indeed generates 9 functions for square and rectangular sizes for each register type. More could be done to reduce binary size, but for the purposes of this tutorial, the take-home message is that we can use the same source code to write functions for multiple vector register types (mm0, xmm0, ymm0 or zmm0). Some readers may at this point notice that x86inc.asm allows a programmer to use non-VEX instruction names (such as psadbw) for VEX instructions (such as vpsadbw), since you can only operate on ymm registers using VEX-coded instructions. This is indeed the case, and is discussed in more detail in “AVX three-operand instruction emulation” below. You’ll also notice how we use xm0 at the end of the function, this allows us to explicitly access xmm registers in functions otherwise templated for ymm registers, but will still correctly map to mm registers in MMX functions. Altogether, function templating allows for making easily-maintainable code, as long as developers understand how templating works and what the goals are. Templating can partially hide complexity of a function in macros, which can be very confusing and thus make code harder to understand. At the same time, it will significantly reduce source code duplication, which makes code maintenance easier. In practice, as demonstrated earlier, AVX/VEX emulation also allows using the same (templated) source code for pre-AVX functions and AVX functions. Another noteworthy feature in x86inc.asm is SWAP, a assembler-time and instruction-less register swapper. The typical use case for this is to be numerically consistent in ordering data in vector registers. As an example: SWAP 0, 1 would switch the assembler’s internal meaning of the templated vector register names m0 and m1. Before, m0 might refer to xmm0 and m1 might refer to xmm1; after, m0 would refer to xmm1 and m1 would refer to xmm0. SWAP can take more than 2 arguments, in which case SWAP is sequentially invoked on each subsequent pair of numbers. For example, SWAP 1, 2, 3, 4 would be identical to SWAP 1, 2, followed by SWAP 2, 3, and finally followed by SWAP 3, 4. The ordering is re-set at the beginning of each function (in cglobal). Using stack memory in hand-written assembly is relatively easy if all you want is unaligned data or if the platform provides aligned stack access at each function’s entry point. For example, on Linux/Mac (32-bit and 64-bit) or Windows (64-bit), the stack upon function entry is guaranteed by the ABI to be 16-byte aligned. Unfortunately, sometimes we need 32-byte alignment (for aligned vmovdqa of ymm register contents), or we need aligned memory on 32-bit Windows. Therefore, x86inc.asm provides portable alignment. The fourth (optional) numeric argument to cglobal is the number of bytes you need in terms of stack memory. If this value is 0 or missing, no stack memory is allocated. If the alignment constraint (mmsize) is greater than that guaranteed by the platform, the stack is manually aligned. if we saved the original stack pointer on the (post-aligned) stack, we will not have access to m or mp named register aliases in the function body, but we don’t occupy a GPR. To use this option, specify a negative stack size. Note how we write a negative number as 0 - 64, not just -64, because of a bug in some older versions of yasm. After stack memory allocation, it can be accessed using [rsp] (which is an alias for [esp] on 32-bit). This post was meant as an introduction to x86inc.asm, an x86 hand-written assembly helper, for developers (somewhat) familiar with hand-written assembly or intrinsics. It was inspired by an earlier guide called x264asm. When I first looked into video codecs (back when VP8 was released), I imagined them being these insanely complex beasts that required multiple PhDs to understand. But as I quickly learned, video codecs are quite simple in concept. Now that VP9 is gaining support from major industry players (see supporting statements in December 2016 from Netflix and Viacom), I figured it’d be useful to explain how VP9 works. And since that would RIP your internet connection when watching your favourite internet stream, you need video compression. 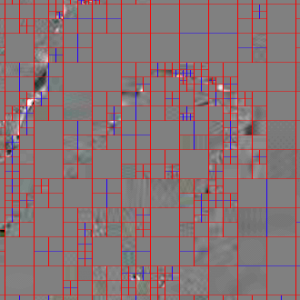 Now that the fundamentals are in place, let’s look closer at these 64×64 blocks. 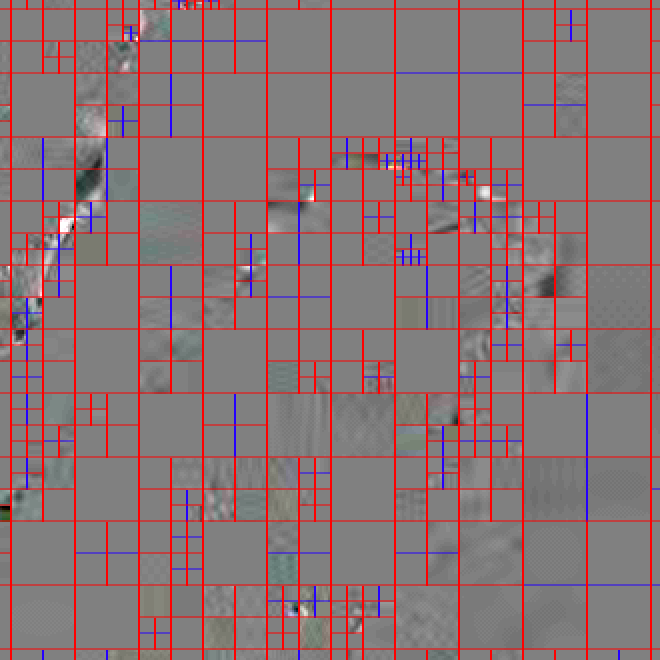 Each 64×64 block goes through one or more rounds of decomposition, which is similar to quad-tree decomposition used in HEVC and H.264. However, unlike the two partitioning modes (none and split) in quad-tree, VP9 block decomposition has 4 partitioning modes: none, horizontal, vertical and split. 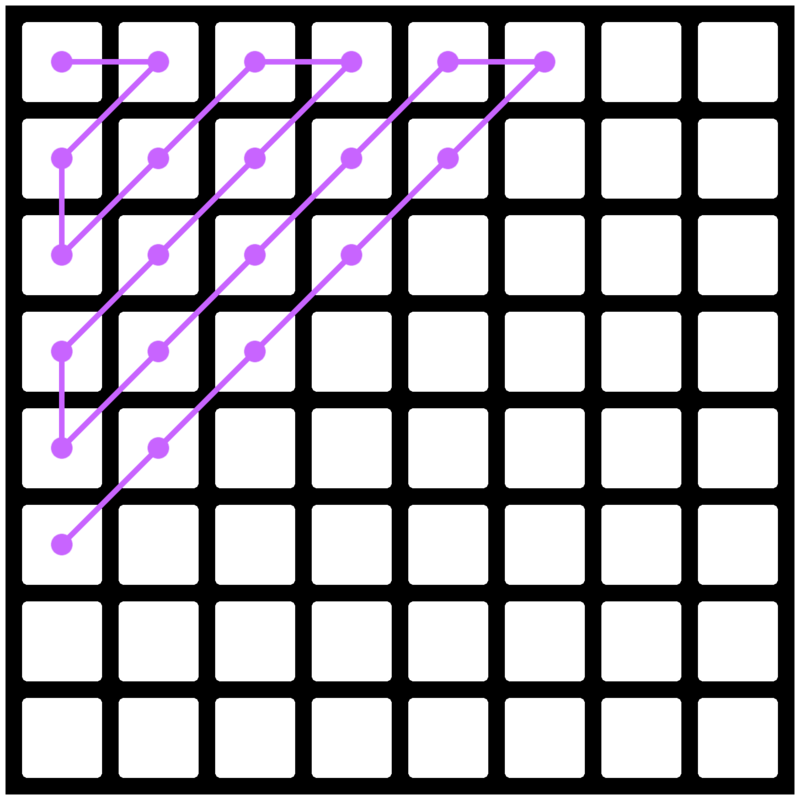 None, horizontal and vertical are all terminal nodes, whereas split recurses down at the next block level (32×32), where each of the 4 sub-blocks goes through a subsequent round of the decomposition process. This process can continue up until the 8×8 block level, where all partitioning modes are terminal, which means 4×4 is the smallest possible block size. lastly, the transform size defines the size of the residual transform through which residual data is coded. The transform size can be 4×4, 8×8, 16×16 or 32×32, and cannot be larger than the block size. This is identical to HEVC. H.264 only supports up to 8×8. 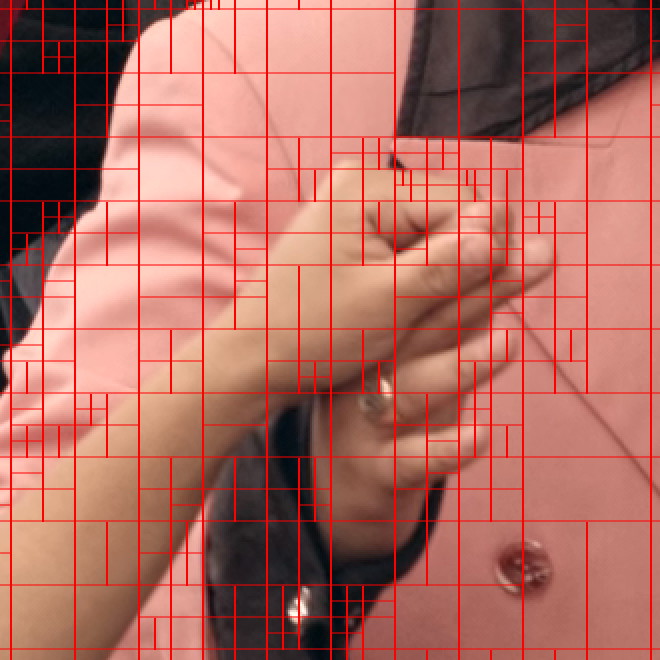 If the intra flag is false, each block will predict pixel values by copying pixels from 1 or 2 previously coded reference frames at specified pixel offsets, called motion vectors. 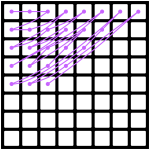 If 2 reference frames are used, the prediction values from each reference frame at the specified motion vector pixel offset will be averaged to generate the final predictor. 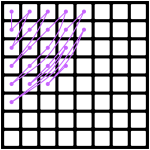 Motion vectors have up to 1/8th-pel resolution (i.e. 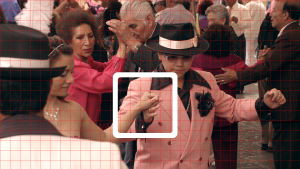 a motion vector increment by 1 implies a 1/8th pixel offset step in the reference), and the motion compensation functions use 8-tap filters for sub-pixel interpolation. Notably, VP9 supports selectable motion filters, which does not exist in HEVC/H.264. Chroma planes will use the same motion vector as the luma plane. In VP9, inter blocks code the following elements. lastly, if the inter mode is newmv, the motion vector residual is added to the nearestmv value to generate a new motion vector. 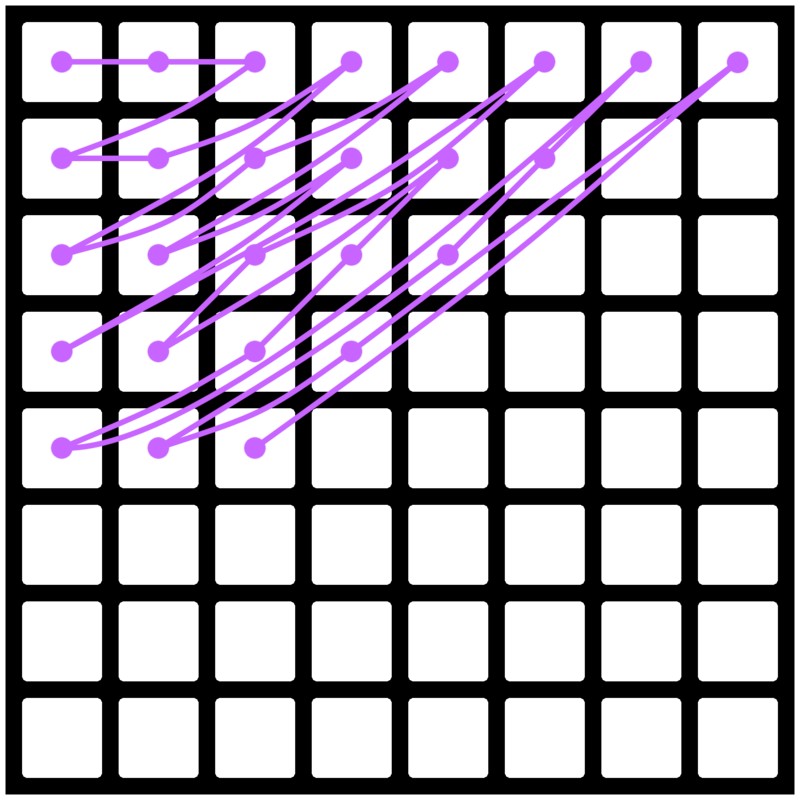 If you overlay motion vectors (using cyan, magenta and orange for each of the 3 active references) on top of the transform/block decomposition image from earlier, it’s easy to notice that the motion vectors essentially describe the motion of objects between the current frame and the reference frame. 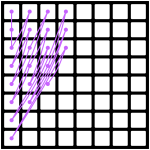 It’s easy to see that the purple/cyan motion vectors often have opposite directions, because one reference is located (temporally) before this frame, whereas the other reference is located (temporally) after this frame. 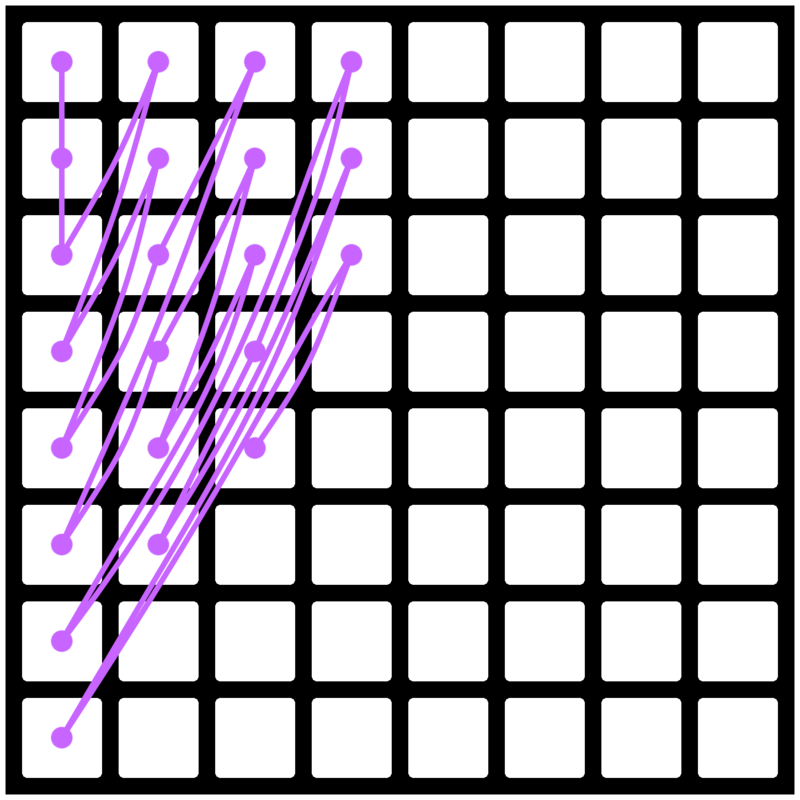 and DC (direct current), where each predicted pixel(x,y) = average(top(1..n) and left(1..n)). This makes for a total of 10 different intra prediction modes. This is more than H.264, which only has 4 or 9 intra prediction modes (DC, planar, horizontal, vertical or DC and 8 directional ones) depending on the block size and plane type (luma vs. chroma), but also less than HEVC, which has 35 (DC, planar and 33 directional angles). Although a mode is shared at the block level, intra prediction happens at the transform block level. If one block contains multiple transform blocks (e.g. a block of 8×4 will contain two 4×4 transform blocks), both transform block re-use the same intra prediction mode, so it is only coded once. 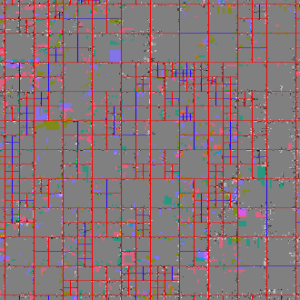 The last part in the block coding process is the residual data, assuming the skip flag was false. 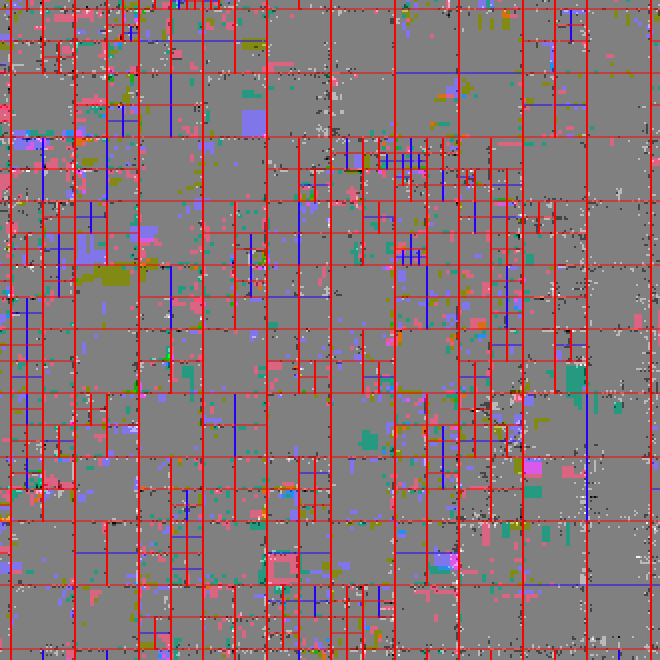 The residual data is the difference between the original pixels in a block and the predicted pixels in a block. 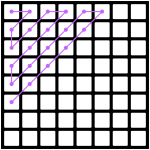 These pixels are then transformed using a 2-dimensional transform, where each direction (horizontal and vertical) is either a 1-dimensional (1-D) discrete cosine transform (DCT) or an asymmetric discrete sine transform (ADST). The exact combination of DCT/ADST in each direction depends on the prediction mode. 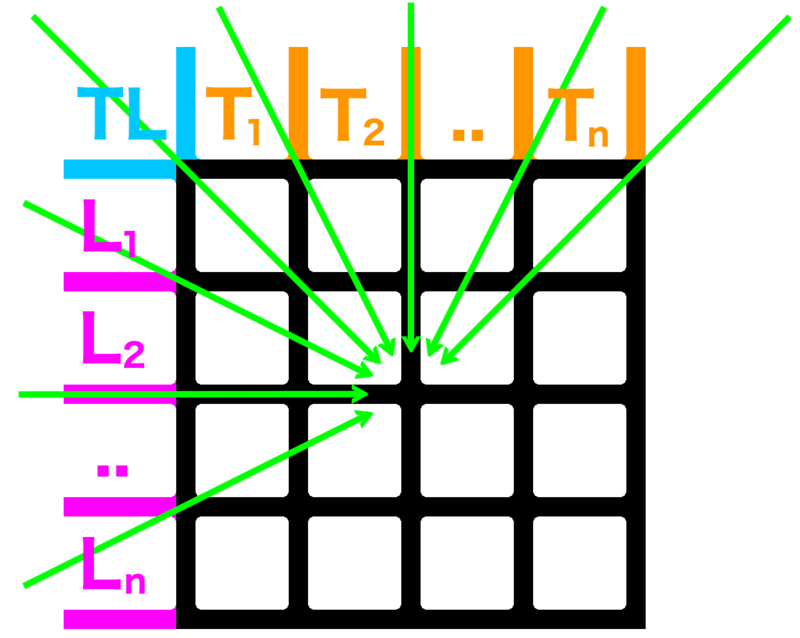 Intra prediction modes originating from the top edge (the vertical intra prediction modes) use ADST vertically and DCT horizontally; modes originating from the left edge (the horizontal intra prediction modes) use ADST horizontally and DCT vertically; modes originating from both edges (TM and the down/right diagonal directional intra prediction mode) use ADST in both directions; and finally, all inter modes, DC and the down/left diagonal intra prediction mode use DCT in both directions. 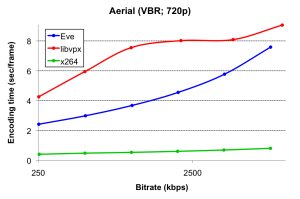 By comparison, HEVC only supports ADST combined in both directions, and only for the 4×4 transform, where it’s used for all intra prediction modes. All inter modes and all other transform sizes use DCT in both directions. H.264 does not support ADST. The advantage of the VP9 scan tables, especially at larger transform sizes (32×32 and 16×16) is that it leads to a better separation of zero- and non-zero-coefficients than classic zig-zag or related patterns used in other video codecs. The aforementioned processes allow you to compress individual blocks in VP9. However, they also lead to blocking artifacts at the edges between transform blocks and prediction blocks. To resolve that (i.e. smoothen unintended hard edges), VP9 imposes a post-block decoding loopfilter which aims to soften hard block edges. There are 4 separate loopfilters that run at block edges, modifying either 16, 8, 4 or 2 pixels. 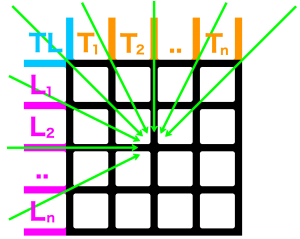 Smaller transforms allow only small filters, whereas for the largest transforms, all filters are available. Which one runs for each edge depends on filter strength and edge hardness. So far, we’ve comprehensively discussed algorithms used in VP9 block coding and image reconstruction. We have not yet discussed how symbol aggregation into a serialized bitstream works. For this, VP9 uses an binary arithmetic range coder. Each symbol (e.g. 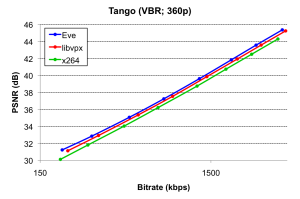 an intra mode choice) has a probability table associated with it. These probabilities can either be global defaults, or they can be explicitly updated in the header of each frame (forward updates). Based on the entropy of the decoded data of previous frames, the probabilities are updated before the coding of next frames starts (backward updates). This means that probabilities effectively adapt to data entropy – but without explicit signaling. This is very different from how H.264/HEVC use CABAC, since CABAC uses per-symbol adaptivity (i.e. after each bit, the associated probability is updated – which is useful, especially in intra/keyframe coding) but resets state between frames, which means it can’t take advantage of entropic redundancy between frames. VP9 keeps probabilities constant during the coding of each frame, but maintains state (and adapts probabilities) between frames, which provides compression benefits during long stretches of inter frames. The above should give a pretty comprehensive overview of algorithms and designs of the VP9 video codec. I hope it helps in understanding why VP9 performs better than older video codecs, such as H.264. Are you interested in video codecs and would you like to write amazing video encoders? Two Orioles, based in New York, is hiring video engineers! Uncompressed (e.g. decoded) video frames are almost universally structured in planar YUV arrays containing lines of pixels. These YUV pixels will then be drawn on-screen, e.g. using a GL shader to do the YUV-to-RGB conversion. It sounds so simple, right? All you’d need is a 3×3 matrix containing the YUV-to-RGB matrix coefficients. 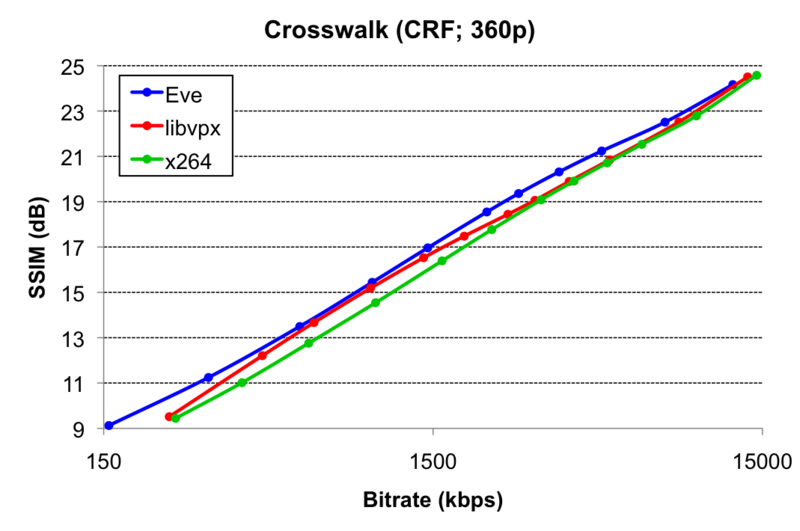 The colorspace coefficients for YUV-to-RGB conversion depend on the colorspace of the video, e.g. something like Bt-601/709/2020 or SMPTE-170M/240M. 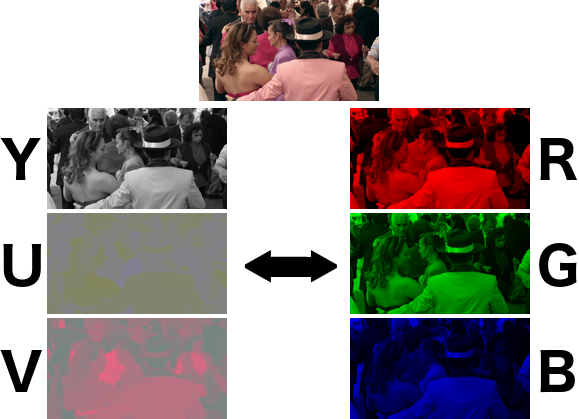 Modern video codecs (such as H.264, HEVC and VP9) signal the colorspace in their bitstream header; VP9-in-ISO also allows signaling it in the container (vpcc atom). This should be simple. Unfortunately, it’s not that simple. A fundamental problem is that RGB, like YUV, is device-dependent, i.e. it has a color matrix associated with it. 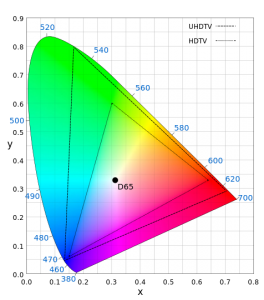 The RGB color matrix (and transfer coefficients) define how particular pixel values in RGB (or YUV) are converted into photons beaming from your display device. The problem isn’t so much the signaling – it works just like colorspace signaling; the problem is what to do with that information. 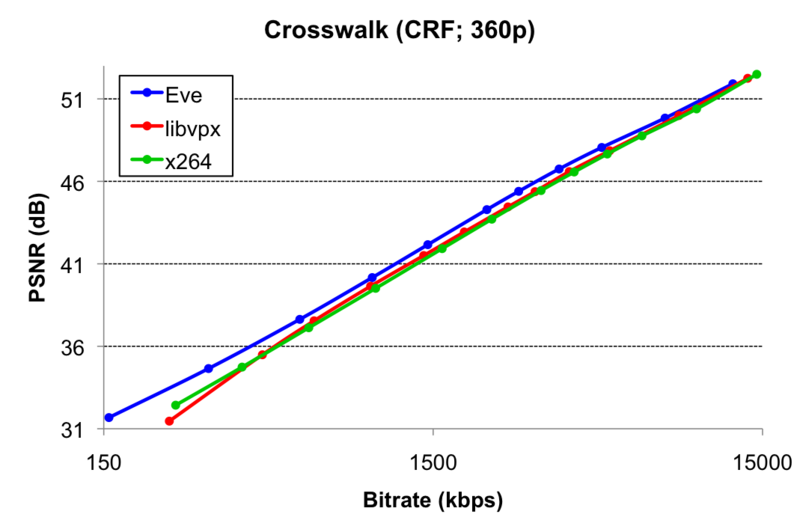 First, what are color matrix coefficients and transfer characteristics? Let’s move back one step. Is there a universal (device-independent) way of specifying how many photons a pixel value should correspond to? It turns out there is! 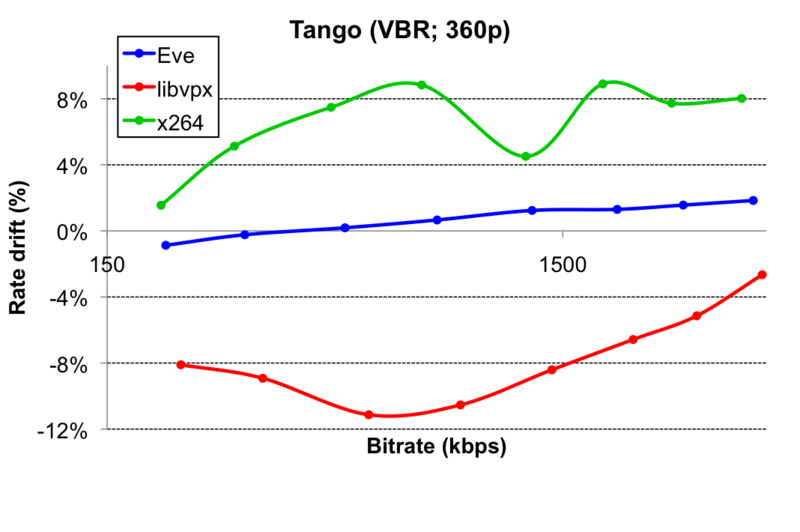 This is called the XYZ colorspace; the Y component is analogous to luminance (similar’ish to the Y component in YUV), and the X/Z components contain the chroma information – where Z is “quasi-equal” to the S-cone (blue) response in our eye. 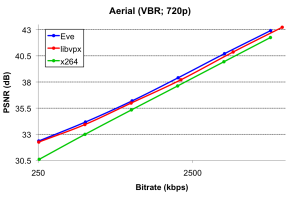 Conversion between XYZ and RGB is similar to conversion between YUV and RGB, in that it takes a 3×3 matrix with colormatrix coefficients. However, this isn’t regular RGB, but linearized RGB, which means that the increase in pixel component values correlates linearly with an increase in photon count. 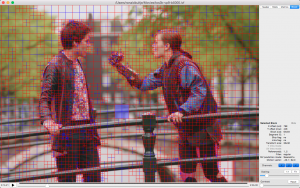 RGB pixel values from images or videos (whether coded directly as RGB or converted from YUV) are gamma-corrected. Gamma correction essentially increases the resolution of pixel values near zero, which is useful because the human eye is more sensitive to dark than to light values. 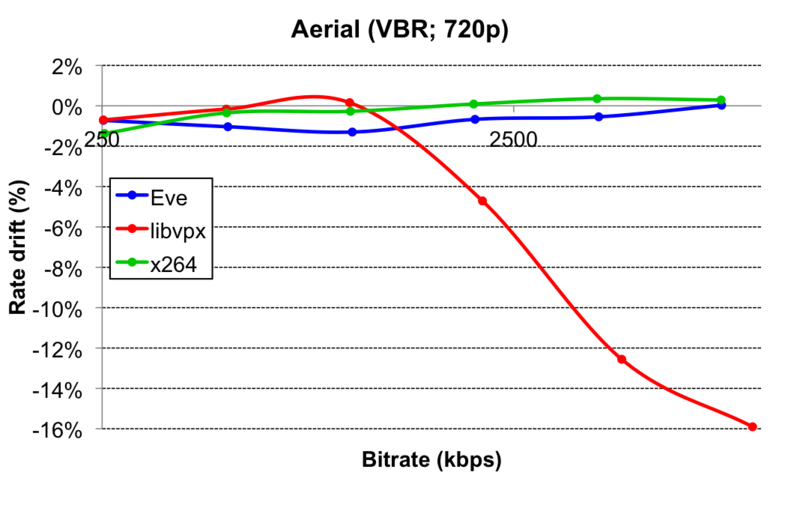 In relevant standards, gamma correction is typically defined using transfer characteristics. The gamma-corrected RGB can then be converted to YUV after applying the gamma and then using the typical colorspace coefficients. The left color is the Bt-2020 source image displayed as if it were Bt-709 data (or: “on a Bt-709/HDTV/sRGB device”). The right image is the inverse. The middle image is correct. 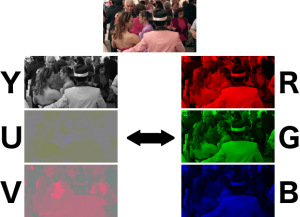 It shows the importance of indicating the correct colorspace in video files, and correctly converting colorspaces when the target display device doesn’t support the source data’s colorspace. It’s perhaps not realistic to expect all browsers to support all colorspaces. It’s easier to just stream them the data that they support, and convert it while you’re processing the file anyway, e.g. while you’re encoding it as a streaming service. 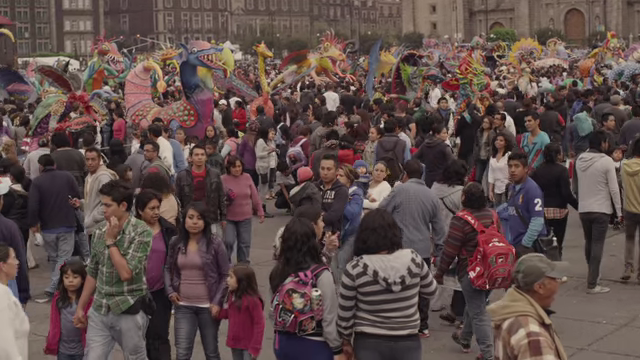 For this purpose, we wrote the colorspace filter in FFmpeg. The idea is simple: it will convert YUV data in any colorspace to YUV data in any other colorspace. The simplest way to use this filter is to convert data from whatever the input is to Bt-709 before encoding it to the streamable format eventually sent to browsers (or mobile devices), since Bt-709 appears to the be the only format universally (and correctly) supported by mainstream browsers. But it could also be used for other purposes. For example, Clément Bœsch suggested that we use the colorspace filter as a generator for the lut3d filter, which would greatly improve performance of the colorspace conversion. I’m hoping he’ll write a tutorial on how to do that! You may remember 20 years ago, we’d have to download Quicktime for one website or RealMedia player for another website, to be served small stamp-sized videos in players that displayed ads bigger than the video itself. We’ve come a long way, overcoming Flash, with VP9 or H.264 as universal web formats integrated in our browsers and mobile devices. Now that the problem of video playback on the web is being solved, let’s step up from displaying anything at all to displaying colors as they were intended to be. VP9 is a bit of a paradox: it offers compression well above today’s industry standard for internet video streaming (H.264 – usually created using the opensource encoder x264), and playback is widely supported by today’s generation of mobile devices (Android) and browsers (Chrome, Edge, Opera, Firefox). Yet many companies and people are wary of using VP9. I’ve blogged about the benefits of VP9 (using Google’s encoder, libvpx) before, and I keep hearing some common responses: libvpx is slow, libvpx is blurry, libvpx is optimized for PSNR, libvpx doesn’t look visually better compared to x264 encodes (or more extreme: x264 looks much better! ), libvpx doesn’t adhere to target rates. Really, most of what I hear is not so much VP9, but more about libvpx. But this is a significant issue, because libvpx is the only VP9 software encoder available. To fix this, we wrote an entirely new VP9 encoder, called Eve (“Efficient Video Encoder”). For those too lazy to read the whole post: this VP9 encoder offers 5-10% better compression rates (for broadcast-quality source files) compared to libvpx, while being 10-20% faster at the same time. Compared to x264, it offers 15-20% better compression rates, but is ~5x slower. Its target rate adherence is far superior to libvpx and comparable to x264. Most importantly, these improvements aren’t just in metrics: the resulting files look visually much better than those generated (at the same bitrate) by libvpx and x264. Don’t believe it? Read on! As software, I used a recent version of Eve, libvpx 1.5.0 and x264 git hash 7599210. For downsampling to 720p/360p and measuring PSNR/SSIM, I used ffmpeg git hash 69e80d6. As source material for these tests, I used the “4k” test clips from Xiph. These are broadcast-quality source files at 4k resolution (YUV 4:2:0, 4096×2160, 10 bit/component, 60fps). For these tests, since I have limited resources, I downsampled them to 360p (640×360, 8 bit/component, 30 fps) or 720p (1280×720, 8 bit/component, 30 fps) before encoding them. I did two types of tests: 1-pass CRF (where you set a quality target) and 2-pass VBR (where you set an average bitrate target). For both tests, I measured objective quality (PSNR), effective bitrate and encoding time. For 2-pass VBR, I also measured target bitrate adherence (i.e. 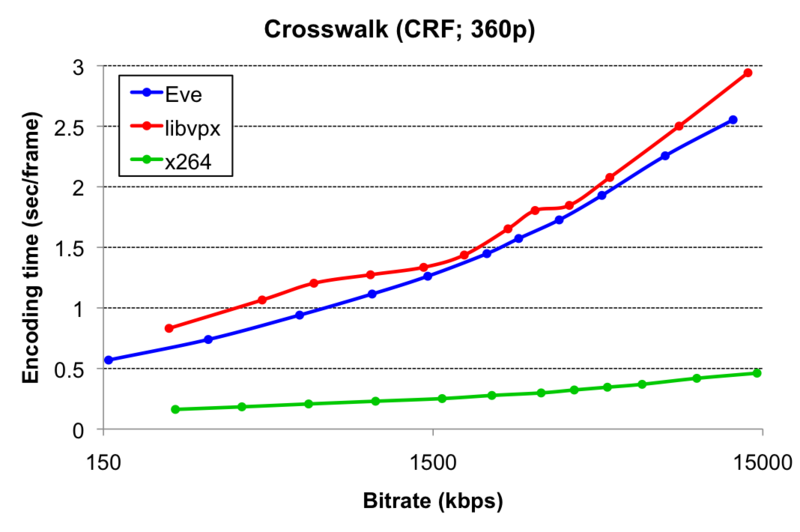 difference between actual and target file size). Lastly, I looked at visual quality. I encoded the 360p test set using recommended 1-pass CRF settings for each encoder. First, let’s look at the PSNR metrics. The table shows bitrate improvement between Eve and libvpx/x264, i.e. “how many percent less (or more) bits does Eve need to accomplish the same PSNR value”. For example, a bitrate improvement of 10% for one clip means that it needs, on average (BD-RATE) over the bitrate spectrum in the graph for that clip, 10% less bits (e.g. 9 bits for Eve instead of 10 bits for the other encoder) to accomplish the same quality (PSNR). The average across all clips in this test set is -12.6% versus libvpx, which means that Eve needs, on average, 12.6% less bits than libvpx to accomplish the same quality (PSNR). Compared to x264, Eve needs 14.1% less bits to accomplish the same quality. Some people object to using PSNR as a quality metric, so I measured the same files using SSIM as a metric. 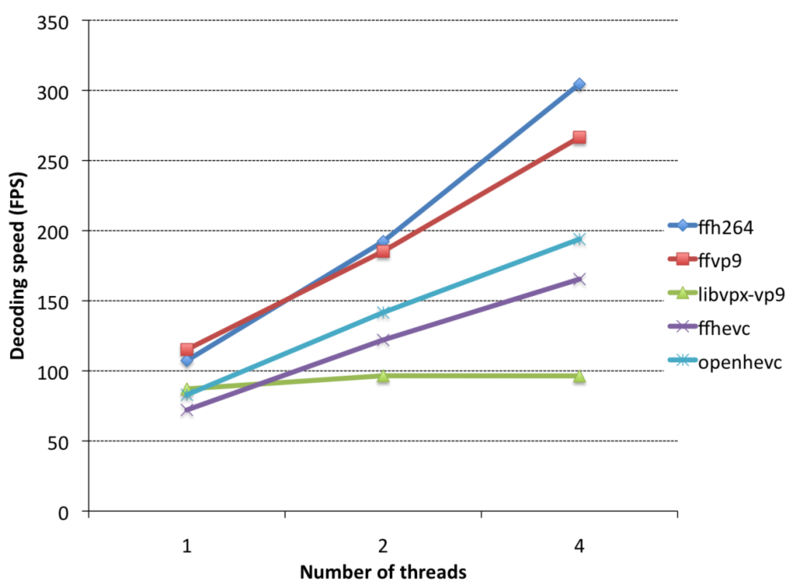 The results are not fundamentally different: Eve is 8.9% better than libvpx, and 22.5% better than x264. x264 looks a little worse in these tests than in the PSNR tests, and that’s primarily because x264 does significant metric-specific optimizations, which don’t (yet) exist in libvpx or Eve. However, more importantly, this shows that Eve’s quality improvement is independent of the specific metric used. Lastly, I looked at encoding time. 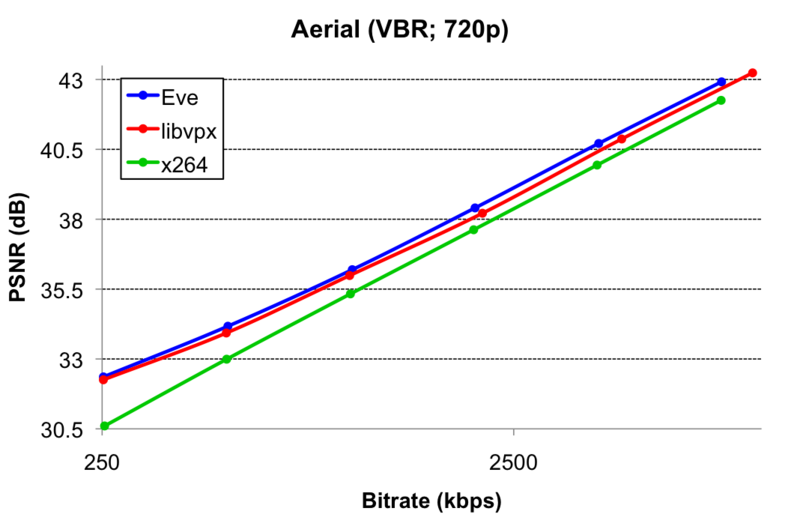 Average encoding time for each encoder depends somewhat on the target quality point. For most bitrate targets, Eve is quite a bit faster than libvpx. Overall, for an average (across all CRF values and test sequences) encoding time of about 1.28 sec/frame, Eve is 0.30 sec/frame faster than libvpx (1.58 sec/frame). At 0.25 sec/frame, x264 is ~5x faster, which is not surprising, since H.264 is a far simpler codec, and x264 a much more mature encoder. I encoded the same 360p sequences again, but instead of specifying a target CRF value, I specified a target bitrate using otherwise recommended settings for each encoder (Eve, vpxenc, x264), and used target bitrate adherence as an additional metric. Again, let’s first look at the objective quality metrics: the table shows results that are not fundamentally different from the CRF results: Eve requires 7.7% less bitrate than libvpx to accomplish the same quality in PSNR. Results for SSIM are not much different: Eve requires 6.6% less bitrate than libvpx to accomplish the same quality. 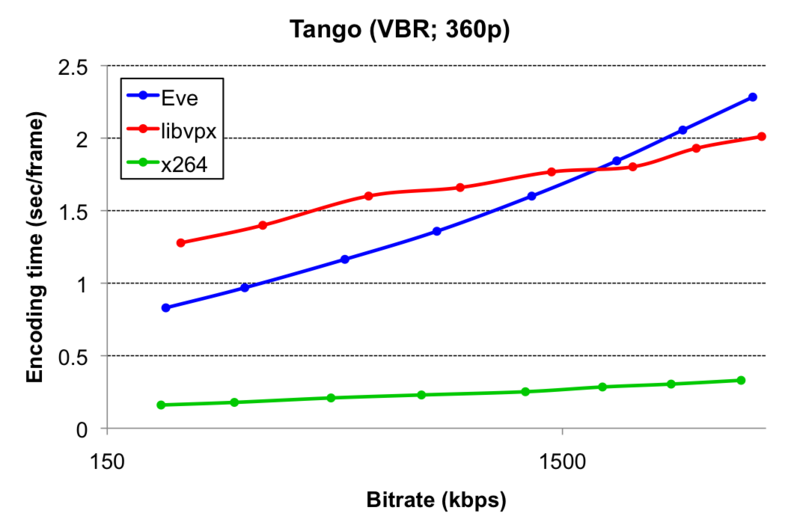 Compared to x264, Eve requires 15.9% (PSNR) or 24.5% (SSIM) less bits to accomplish the same quality. For an average encoding time of around 1.26 sec/frame, Eve is approximately 0.31 sec/frame faster than libvpx (1.57 sec/frame), which is similar to the CRF results. At 0.20 sec/frame, x264 is again several times faster than either Eve or libvpx, for the same reasons as explained in the CRF section. 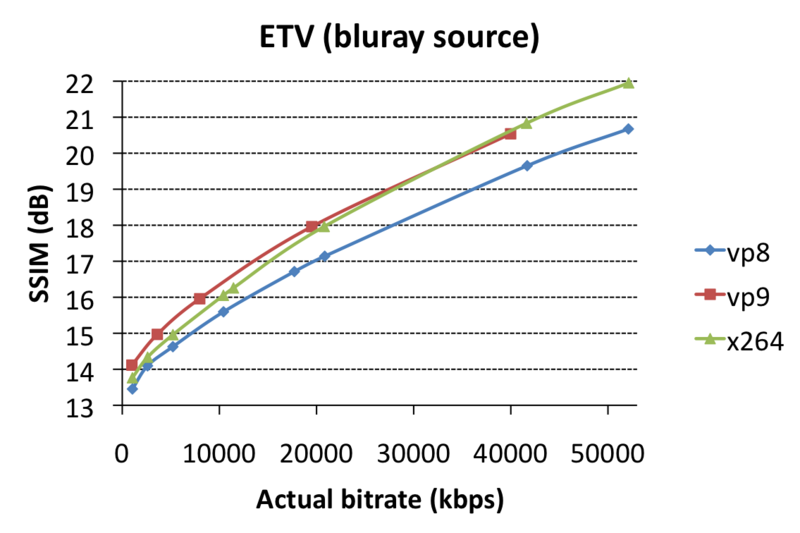 In terms of target bitrate adherence, Eve and x264 adhere to the target rate much more closely than libvpx does. 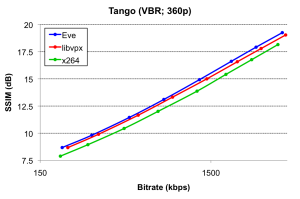 Expressed as average absolute rate drift, where rate drift is target / actual – 1.0, Eve misses the target rate on average by 2.66%. x264 is almost as good, missing the target rate by 3.83% at default settings. Libvpx is several times farther off, with an average absolute rate drift of 9.48%, which confirms libvpx’ rate adherence concerns I’ve heard from others. Each encoder has options to curtail the rate drift, but enabling this option costs quality. If I curtail libvpx’ rate drift to the same range as x264/Eve (commandline options: --undershoot-pct=2 --overshoot-pct=2; table below: RRD), it loses another 3.6% in quality, at which point Eve requires 11.3% less bitrate to accomplish the same quality, with a rate drift of 3.33% for libvpx. Most people in the US watch video at resolutions much higher than 360p nowadays, so I repeated the VBR tests at 720p to ensure consistency of the results at higher resolutions. 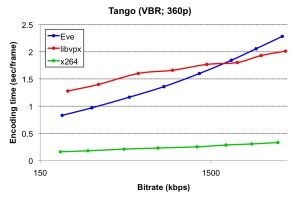 Compared to libvpx, Eve needs 5.5% less bits to accomplish the same quality. Compared to x264, Eve needs 20.4% less bits. 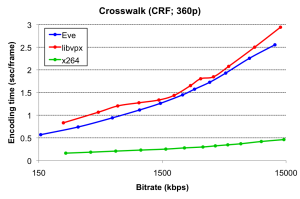 At 5.09 sec/frame versus 5.52 sec/frame, Eve is 0.43 sec/frame faster than libvpx, with the strongest gains at the low-to-middle bitrate spectrum. At 0.76 sec/frame, x264 is several times faster than either. In terms of bitrate adherence, Eve misses the target rate by 1.82% on average, and x264 by 1.65%. libvpx, at 8.88%, is several times worse. To curtail libvpx’ rate drift to the same range as Eve/x264 (using --undershoot-pct=2 --overshoot-pct=2), libvpx loses another 2.9%, becoming 8.4% worse than Eve at an average absolute rate drift of 1.50%. Overall, these results are mostly consistent with the 360p results. The most-frequent concern I’ve heard about libvpx concerns visual quality. It usually goes like this: “the metrics for libvpx are better, but x264 _looks_ better!” (Or, at the very least, “libvpx does not look better!”) So, let’s try to look at some of these (equal bitrate/filesize) videos and decide whether we can see actual visual differences. When doing visual comparisons, it should be obvious why effective rate targeting is important, because visually comparing two files of significantly different size is quite meaningless. For this comparison, I picked three files: one where Eve is far ahead of libvpx (BarScene), one where the two perform relatively equally (BoxingPractice), and one which represents roughly the median across the files in this test set (SquareAndTimelapse). 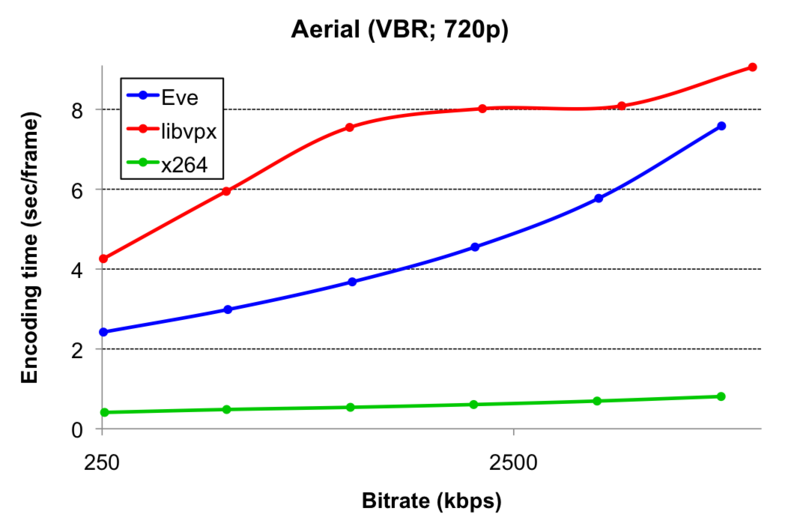 In each case, the difference between Eve and x264 is close to the median. For target rate, I picked values around 200-1000kbps, with visual optimizations (i.e. no --tune=psnr). Overall, this gives reasonable visual quality and is typical for internet video streaming at this resolution, but at the same time allows easy distinction of visual artifacts between encoders. For higher resolution, you’d use higher bitrates, but the types visual artifacts would not change substantially. Bartender’s face: x264 makes the man’s nose and forehead look like a zombie, because of high-frequency noise at sharp edges. Libvpx has the opposite artifact: it is blurry, which is the most-often heard complaint about this encoder. 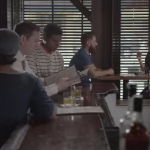 Bartender’s shirt and girl’s sweater: libvpx blurs out most texture in the clothing. 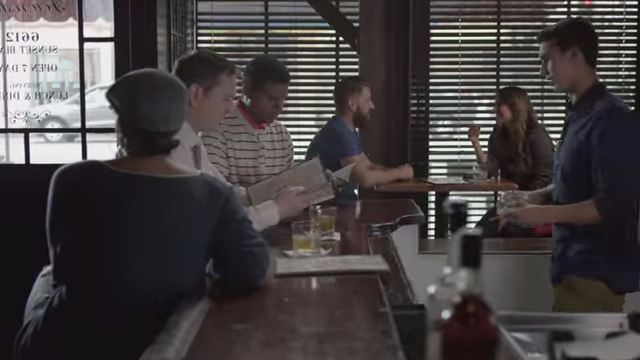 x264, on the other hand, has high-frequency noise around the buttons on the bartender’s shirt. Both x264 as well as libvpx manage to make the lemon in the glass disappear. Patron’s faces: libvpx is again blurry. 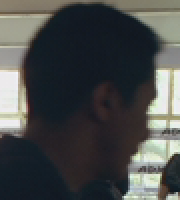 x264 is also more blurry than it typically is. Bar area: x264 hides the finger of the left-hand (top/right, holding the menu), and adds a dark scar (instead of a faint shadow) to the thumb on the right hand. libvpx changes the color of the drink from orange to yellow, makes straws disappear, and is – surprise! – blurry. Man in black coat and woman in pink sweater: x264 turned the woman’s face green’ish. On the other hand, it maintains most texture in the black coat. Eve maintains almost as much detail in the coat, but libvpx blurs it quite significantly. Libvpx also bleeds the red color from the man’s t-shirt into the hair of the woman in front of him (mid/bottom). Man in blue t-shirt and woman in white shirt: libvpx blurs the bottom of the man’s t-shirt, particularly the red portion, which is barely visible anymore. x264, on the other hand, blurs away the woman’s face quite significantly (e.g. her mouth disappears). x264 also again suffers from coloring artifacts in the top/left girl’s neck (which turns gray) and the woman in the bottom/right (whose face turns blue). Also with x264, we again see significant high-frequency artifacts in what used to be a shoulderbag in the person to the top/right. Red backpack: libvpx combines two recurring artifacts here – blur and color bleed – at the bottom/right edge of the backpack, where the red backpack bleeds into neighbouring objects. 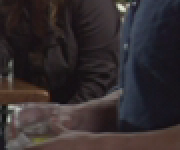 x264 does the opposite, and replaces the red color in the bottom/right corner of the backpack with a green patch that seems to come out of nowhere. Man with red gloves: in x264, we see the boxing glove color bleeding through into the man’s face. 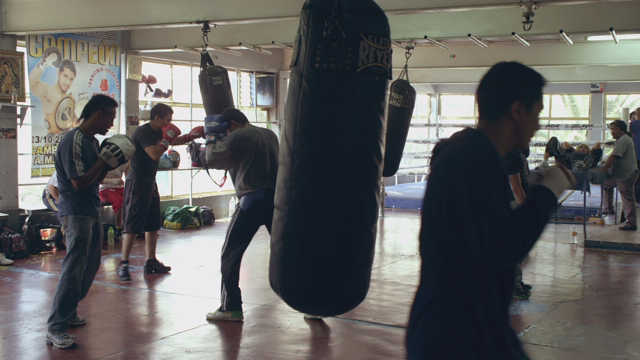 The high frequency noise is also abundantly present, particularly around his left hand’s boxing glove. And although all three encoders suffer significantly from blurring artifacts, libvpx is still by far the worst. 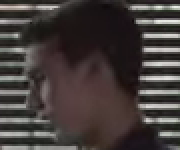 Man with blue gloves: the x264 file shows more high-frequency noise artifacts on the right shoulder area, and a bright red patch coming out of nothing on the left. And libvpx is this time much more blurry than either of the other two encodes, and also loses the red spot on the base of the glove. The man’s facial color is not well maintained by any of the encoders, unfortunately. 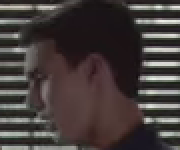 Foreground boxer: x264 has more high-frequency noise artifact just under the man’s nose. Libvpx, on the other hand, is once again blurry, and loses significantly more color in the man’s face. Overall, we start seeing a pattern in these artifacts: at comparable file sizes and frame sizes, compared to Eve, libvpx is blurry, and x264 suffers from high-frequency noise artifacts at sharp edges and has issues with skin textures. Both x264/libvpx also have significantly more color-artifacts compared to Eve: x264 tends to lose color and libvpx often bleeds colors. Eve – although obviously not perfect – looks visually much more pleasing, at the same frame size and file size. has better target rate adherence than libvpx, and has comparable target rate adherence with x264. 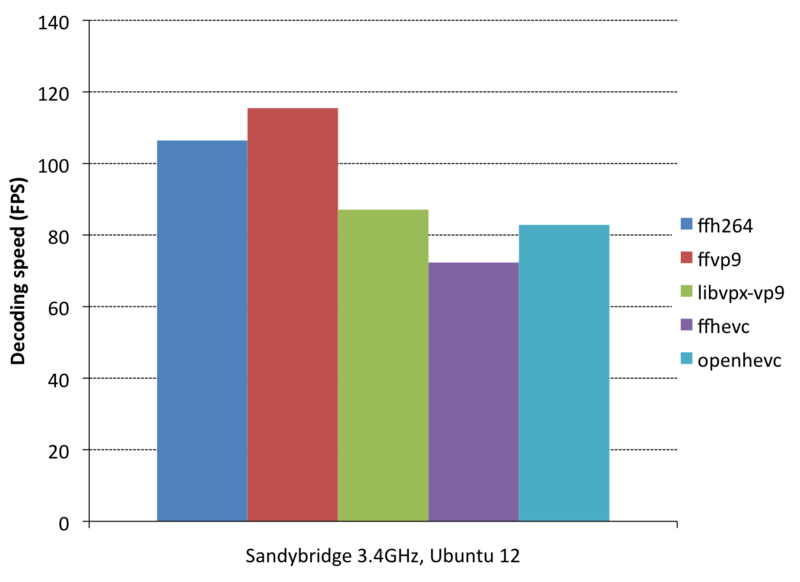 To get libvpx at the same target rate adherence, it loses another ~2-3% in quality metrics compared to Eve. At Two Orioles, we are working to further improve Eve’s quality and speed every day, and lots of work can still be done (e.g. : faster encoding modes, multi-threading). At the same time, we would love to help you use VP9 for internet video streaming. Do you stream lots of video, and are you interested in trying out VP9 or improving your VP9 pipeline using Eve? Contact us, or see our website for more information. Almost a year ago, I decided to quit my job and start my own business. Video coding technology in general, and VP9 specifically, seemed interesting enough that I should be able to build a business on top of it, right? The company is called Two Orioles. As a first product, I’ve created a VP9 bitstream analyzer. What’s a bitstream analyzer? It’s a tool to analyze the VP9 bitstream, of course! As such, it will visualize coding tools used for each VP9 frame, such as block/transform decompositions, intra/inter prediction modes used, segmentation maps; it also displays the frame buffer at each decoding stage (prediction, pre-loopfilter, final reconstruction), differences between each of these stages, and error between each stage and the source. It can also export block-, frame- and stream-level statistics to external tools (e.g. Google Sheets or Microsoft Excel) for further analysis. I’m considering adding support for more codecs to it, let me know if you’re interested in that. The most important question for video codecs is quality. Scientifically, we typically encode one or more video clips using standard codec settings at various target bitrates, and then measure the objective quality of each output clip. The recommended objective metric for video quality is SSIM. 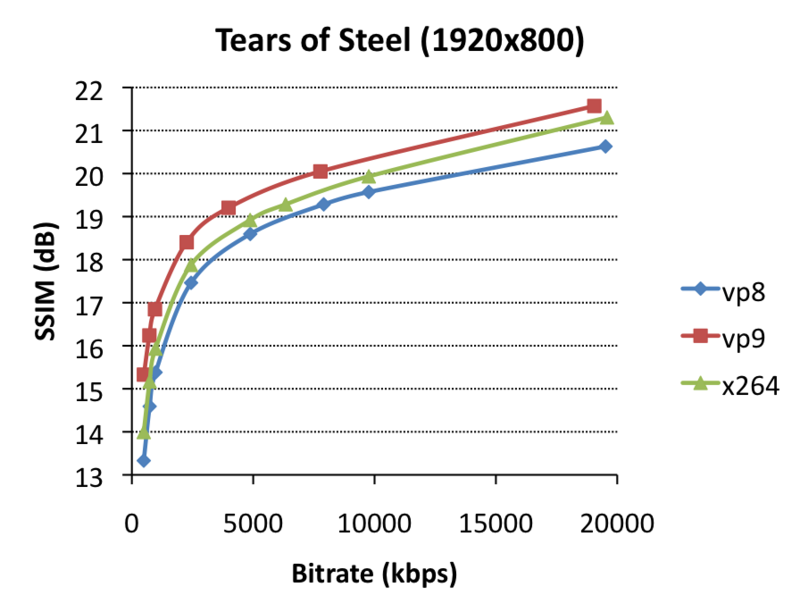 By drawing these bitrate/quality value pairs in a graph, we can compare video codecs. Now, when I say “codecs”, I really mean “encoders”. For the purposes of this comparison, I compared libvpx (VP9), x264 (H.264) and x265 (HEVC), each using 2-pass encodes to a set of target bitrates (x264/x265: –bitrate=250-16000; libvpx: –target-bitrate=250-16000) with SSIM tuning (–tune=ssim) at the slowest (i.e. highest-quality) setting (x264/5: –preset=veryslow; libvpx: –cpu-used=0), all forms of threading/tiling/slicing/wpp disabled, and a 5-second keyframe interval. As test clip, I used a 2-minute fragment of Tears of Steel (1920×800). This is a typical quality/bitrate graph. 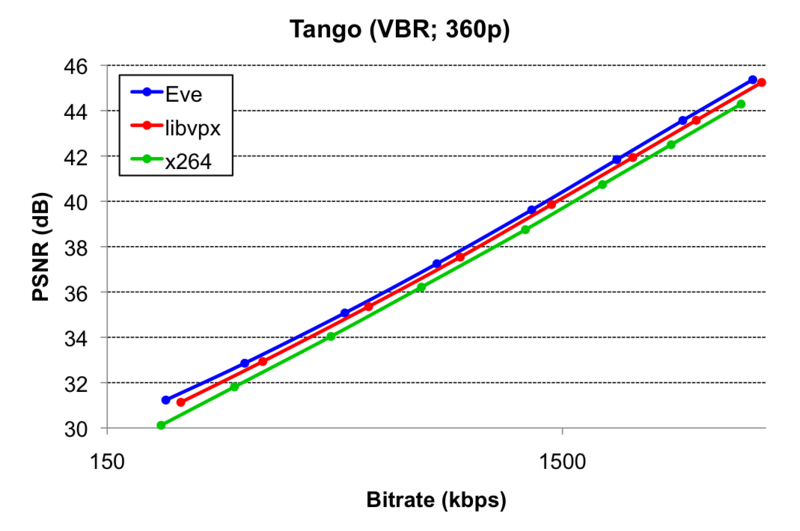 Note that both axes are logarithmic. Let’s first compare our two next-gen codecs (libvpx/x265 as encoders for VP9/HEVC) with x264/H.264: they’re way better (green/ref is left of blue, which means “smaller filesize for same quality”, or alternatively you could say they’re above, which means “better quality for same filesize”). Either way, they’re better. This is expected. By how much? So, we typically try to estimate how much more bits “blue” needs to accomplish the same quality as (e.g.) 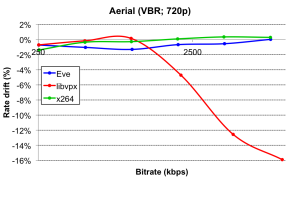 “red”, by comparing an actual point of red to an interpolated point (at the same SSIM score) of the blue line. For example, the red point at 1960kbps has an SSIM score of 18.16. 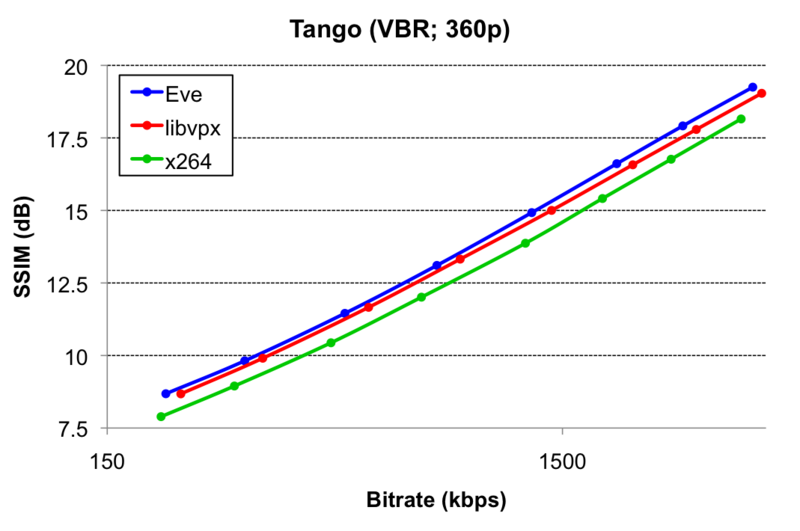 The blue line has two points at 17.52 (1950) and 18.63 (3900kbps). Interpolation gives an estimated point for SSIM=18.16 around 2920kbps, which is 49% larger. So, to accomplish the same SSIM score (quality), x264 needs 49% more bitrate than libvpx. Ergo, libvpx is 49% better than x264 at this bitrate, this is called the bitrate improvement (%). x265 gets approximately the same improvement over x264 as libvpx at this bitrate. 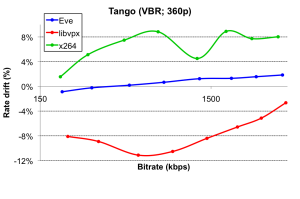 The distance between the red/green lines and blue line get larger as the bitrate goes down, so the codecs have a higher bitrate improvement at low bitrates. As bitrates go up, the improvements go down. We can also see slight differences between x265/libvpx for this clip: at low bitrates, x265 slightly outperforms libvpx. At high bitrates, libvpx outperforms x265. These differences are small compared to the improvement of either encoder over x264, though. So, these next-gen codecs sound awesome. Now let’s talk speed. Encoder devs don’t like to talk speed and quality at the same time, because they don’t go well together. Let’s be honest here: x264 is an incredibly well-optimized encoder, and many people still use it. It’s not that they don’t want better bitrate/quality ratios, but rather, they complain that when they try to switch, it turns out these new codecs have much slower encoders, and when you increase their speed settings (which lowers their quality), the gains go away. Let’s measure that! So, I picked a target bitrate of 4000kbps for each encoder, using otherwise the same settings as earlier, but instead of using the slow presets, I used variable-speed presets (x265/x264: –preset=placebo-ultrafast; libvpx: –cpu-used=0-7). This is a graph people don’t talk about often, so let’s do exactly that. 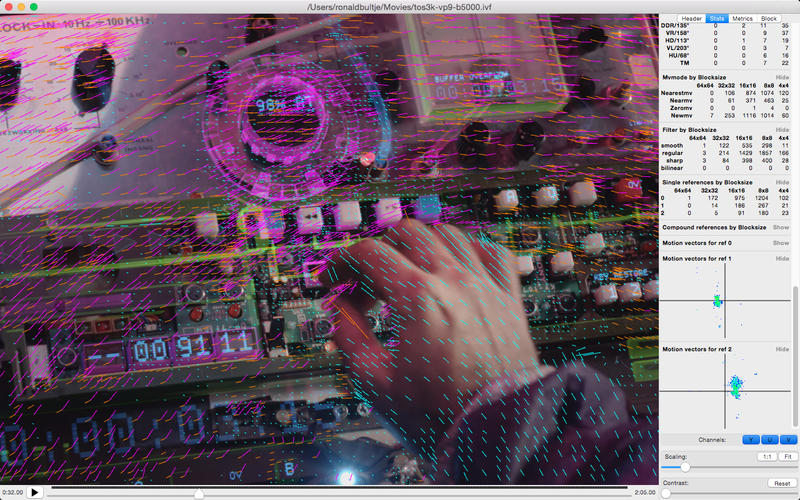 Horizontally, you see encoding time in seconds per frame. Vertically, we see bitrate improvement, the metric we introduced previously, basically a combination of the quality (SSIM) and bitrate, compared to a reference point (x264 @ veryslow is the reference point here, which is why the bitrate improvement over itself is 0%). So what do these results mean? Well, first of all, yeah, sure, x265/libvpx are ~50% better than x264, as claimed. But, they are also 10-20x slower. That’s not good! If you normalize for equal CPU usage, you’ll notice that (again looking at the x264 point at 0%, 0.61 sec/frame), if you look at intersected points of the red line (libvpx) vertically above it, the bitrate improvement normalized for CPU usage is only 20-30%. For x265, it’s only 10%. What’s worse is that the x265 line actually intersects with the x264 line just left of that. In practice, that means that if your CPU usage target for x264 is anything faster than veryslow, you basically want to keep using x264, since at that same CPU usage target, x265 will give worse quality for the same bitrate than x264. The story for libvpx is slightly better than for x265, but it’s clear that these next-gen codecs have a lot of work left in this area. This isn’t surprising, x264 is a lot more mature software than x265/libvpx. Now let’s look at decoder performance. To test decoders, I picked the x265/libvpx-generates files at 4000kbps, and created an additional x264 file at 6500kbps, all of which have an approximately matching SSIM score of around 19.2 (PSNR=46.5). As decoders, I use FFmpeg’s native VP9/H264/HEVC decoders, libvpx, and openhevc. 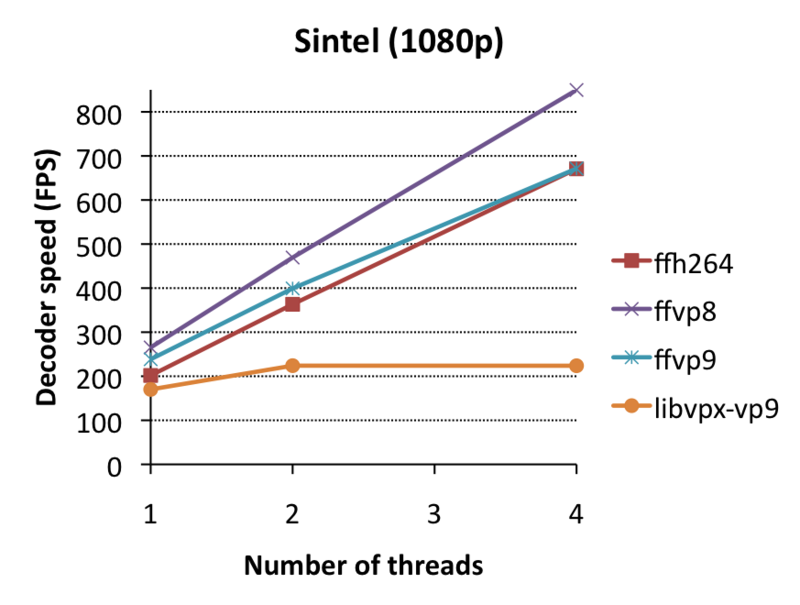 OpenHEVC is the “upstream” of FFmpeg’s native HEVC decoder, and has slightly better assembly optimizations (because they used intrinsics for their idct routines, whereas FFmpeg still runs C code in this place, because it doesn’t like intrinsics). So, what does this mean? Let’s start by comparing ffh264 and ffvp9. These are FFmpeg’s native decoders for H.264 and VP9. They both get approximately the same decoding speed, ffvp9 is in fact slightly faster, by about 5%. Now, that’s interesting. 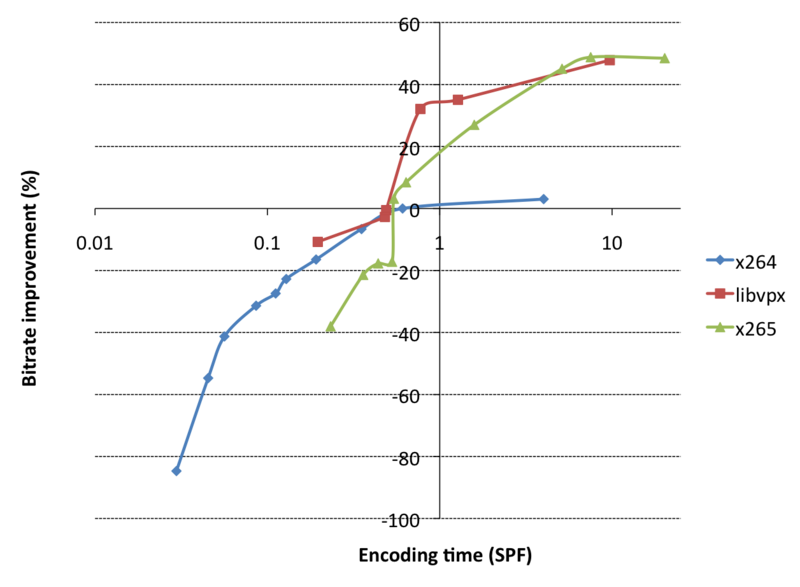 When academics typically speak about next-gen codecs, they claim it will be 50% slower. Why don’t we see that here? The answer is quite simple: because we’re comparing same-quality (rather than same-bitrate) files. Decoders that are this well optimized and mature, tend to spend most of their time in decoding coefficients. 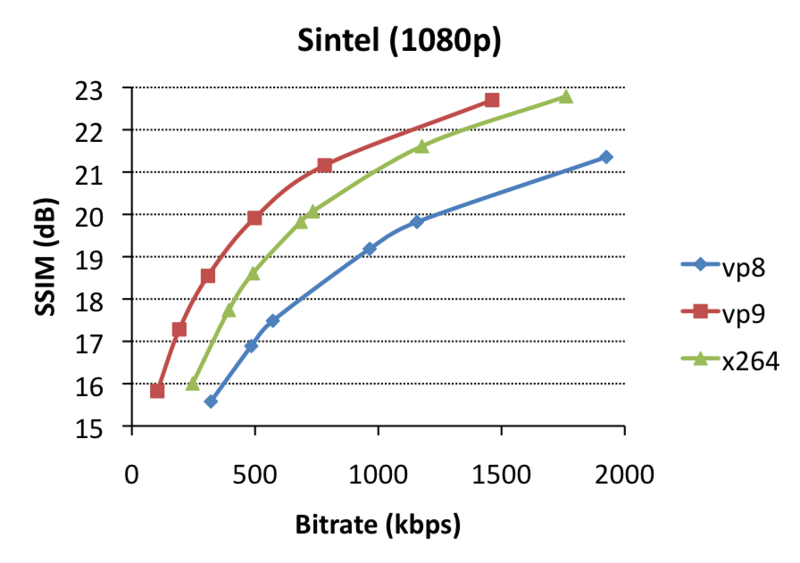 If the bitrate is 50% larger, it means you’re spending 50% more time in coefficient decoding. So, although the codec tools in VP9 may be much more complex than in VP8/H.264, the bitrate savings cause us to not spend more time doing actual decoding tasks at the same quality. 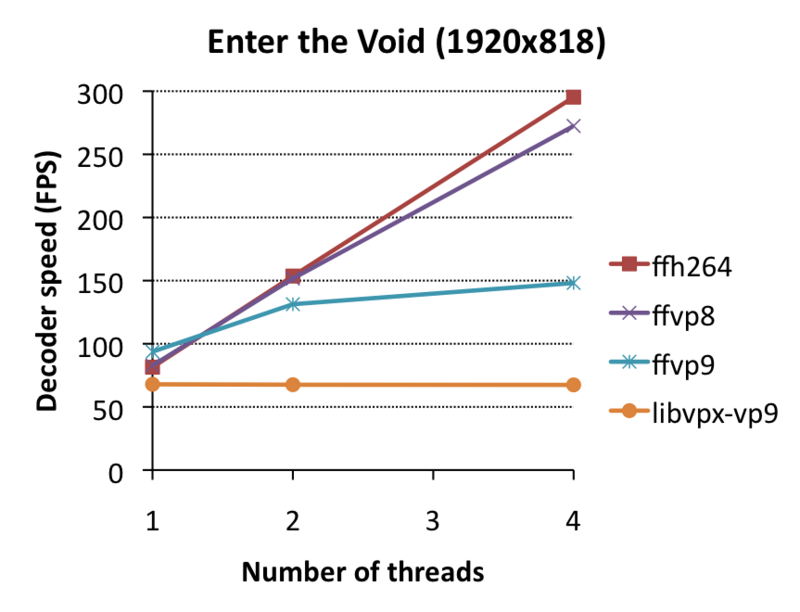 Next, let’s compare ffvp9 with libvpx-vp9. The difference is pretty big: ffvp9 is 30% faster! But we already knew that. This is because FFmpeg’s codebase is better optimized than libvpx. This also introduces interesting concepts for potential encoder optimizations: apparently (in theory) we should be able to make encoders that are much better optimized (and thus much faster) than libvpx. Wouldn’t that be nice? 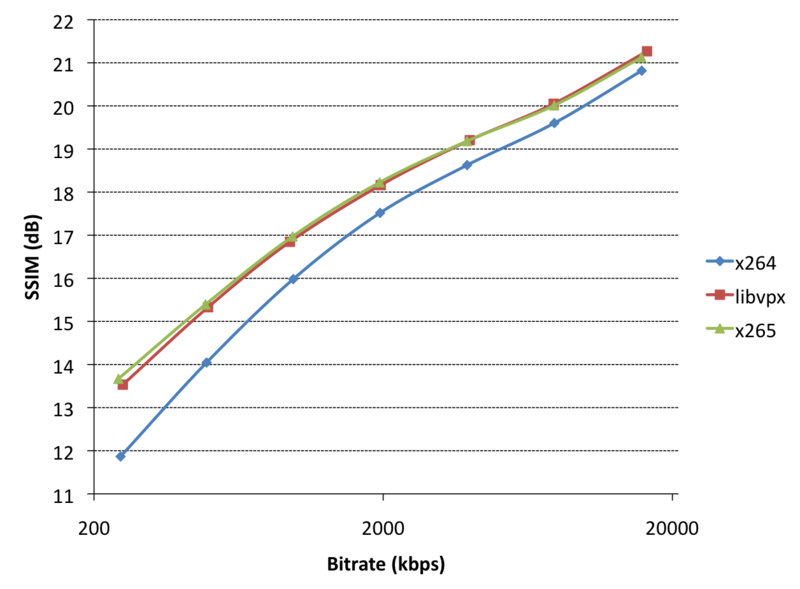 Lastly, let’s compare ffvp9 to ffhevc: VP9 is 55% faster. This is partially because HEVC is much, much, much more complex than VP9, and partially because of the C idct routines in ffhevc. To normalize, we also compare to openhevc (which has idct intrinsics). It’s still 35% slower, so the story for VP9 at this point seems more interesting than for HEVC. 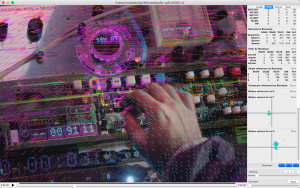 A lot of work is left to be done on FFmpeg’s HEVC decoder. 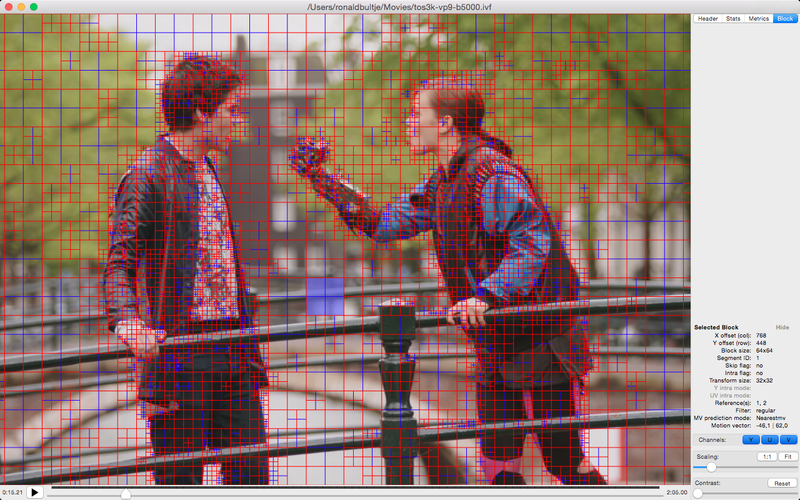 Again, let’s start by comparing ffvp9 with ffh264: ffh264 scales much better. This is expected, the backwards adaptivity feature in VP9 affects multithreaded scaling somewhat, and ffh264 doesn’t have such a feature. 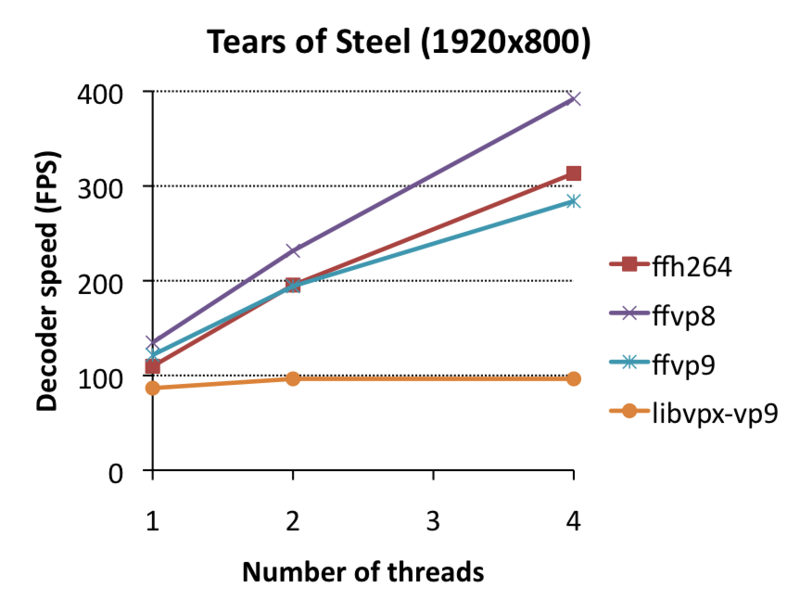 Next, ffvp9 versus ffhevc/openhevc: they both scale about the same. Lastly: libvpx-vp9. What happened? Well, when backwards adaptivity is enabled and tiling is disabled in the VP9 bitstream, libvpx doesn’t use multi-threading at all, so I’ll call it a TODO item in libvpx. There is no reason why this is the case, as is proven by ffvp9. Next-gen codecs provide 50% bitrate improvements over x264, but are 10-20x as slow at the top settings required to accomplish such results. Normalized for CPU usage, libvpx already has some selling points when compared to x264; x265 is still too slow to be useful in most practical scenarios except in very high-end scenarios. ffvp9 is an incredibly awesome decoder that outperforms all other decoders. Lastly, I was asked this question during my VDD15 talk, and it’s fair question so I want to address it here: why didn’t I talk about encoder multi-threading? There’s certainly a huge scope of discussion there (slicing, tiling, frame-multithreading, WPP). The answer is that the primary target of my encoder portion was VOD (e.g. Youtube), and they don’t really care about multi-threading, since it doesn’t affect total workload. If you encode four files in parallel on a 4-core machine and each takes 1 minute, or you encode each of them serially using 4 threads, where each takes 15 seconds, you’re using the full machine for 1 minute either way. For clients of VOD streaming services, this is different, since you and I typically watch one Youtube video at a time. Thread debugging should be easy; there’s advanced tools like helgrind and chess, so it’s a solved problem, right? Once upon a time, FFmpeg merged the mt-branch, which allowed frame-level multi-threading. While one CPU core decodes frame 1, the next CPU core will decode frame 2 in parallel (and so on for any other CPU cores you have). This might sound somewhat odd, because don’t most video codecs use motion vectors to access data in previously coded reference frames? Yes, they do, but we can simply add a condition variable so that thread 2 waits for the relevant data in the reference frame (concurrently decoded by thread 1) to have finished reconstructing that data, and all works fine. Although this might seem to destroy the whole point of concurrency, it works well in practice (because motion vectors tend to not cross a whole frame). Like any other software feature, this feature contained bugs. Threading bugs have the funny name “heisenbugs”: by virtue of the scheduling of instructions on your 2 CPU cores not being identical between different runs, the interaction between 2 threads will not be identical between 2 runs of exact the same commandline. In FFmpeg, we use an elaborate framework knows as FATE to test for video decoder regressions, and we set up some stations to specifically test various multithreading configurations. As you’d expect with heisenbugs, some of these would occasionally fail a test, but otherwise run OK. So how do you debug this? Let me start with chess. Chess is actually an extension to MSVC, so I actually first had to port FFmpeg to MSVC (which was also useful for Chrome). With that problem out of the way, this should be easy right? Last release 5 years ago, forum dead as of 2011, right… Anyway, what chess attempts to do, is to settle a fixed scheduling path between your different threads, such that they will interact in the same way between multiple runs, thus allowing you to consistently reproduce the same bug for debugging purposes. That’s incredibly helpful, but I never tried it out at the end. I’m looking forward to this appearing in some next version of MSVC. And we have a reproducible failing testcase! One problem with thread debugging is failures are hard to reproduce, and another is that we may be looking at different failures at the same time (as is demonstrated by the different outputs for the 2 shown failures). However, we’d like to focus on runs that fail in one particular type of way (assuming that the cause for identical-output failures is consistent), thus taking the heisen- out of the bug. We can adjust the script slightly to focus on any one of our choosing (it turned out that all failures for this particular FATE test were caused by the same bug, displaying itself in slightly different ways). echo "$i failed (the wrong way): $MD5"
And with the heisen-part out of the way, we can now start debugging this as any other bug (printf debugging is easy this way, but you could even get fancy and try to attach to gdb when a particular situation occurs). Below is a comparison of ref.y4m (left, decoded with -threads 1) and out.y4m (right, delta from left with enhanced contrast). The differences are the 3 thin horizontal black/white lines towards the top of the frame. Further research by focussing more narrowly on the decoding process for these specific blocks (using the same technique) led to this fix, and the same technique was also used to fix two other heisenbugs. An often-requested feature for FFmpeg is to compile it using Microsoft Visual Studio’s C compiler (MSVC). The default (quite arrogant) answer used to be that this is not possible, because the godly FFmpeg code is too good for MSVC. Usually this will be followed by some list of C language features/extensions that GCC supports, but MSVC doesn’t (e.g. compound literals, designated initializers, GCC-style inline assembly). There are complete patches and forks related to this one single feature. Two other Libav developers (Derek Buitenhuis and Martin Storsjo) and I wrote a conversion tool that automatically translates these C99 language features to C89-compatible equivalents. With this tool, the FFmpeg and Libav source trees can be translated and subsequently compiled with MSVC. A wrapper is provided so that you can tell the FFmpeg build script to use that as compiler. The wrapper will then (internally) call the conversion utility to convert the source file from C99 to C89, and then it calls the MSVC build tools to compile the resulting “C89’ified source file”. In the end, this effectively means FFmpeg and Libav can be compiled with MSVC, and the resulting binaries are capable of decoding all media types covered by the test suite (32bit, 64bit) and can be debugged using the Visual Studio debugger. a recent version (e.g. current git master) of Libav or FFmpeg. now, “make” will generate the libraries and binaries for you. If you want to run tests (“fate”), use the “–samples=/path/to/dir” configure option to tell it where the test suite files are located. You need bc.exe (not included in default msys install) in your $PATH to run the testsuite. It’s probably possible to generate Visual Studio solutions (.sln files) to import this project in the actual Visual Studio user interface (e.g. libvpx does that) so you no longer need the msys shell for compilation (just for configure). Although we haven’t done that yet, we’re very interested in such a feature. 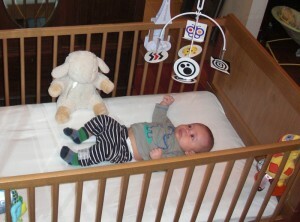 In the beginning of December, Frederik was born. He’s growing up nicely. At the end of December, I succesfully defended my PhD thesis (see earlier post) and was awarded a PhD for my research titled “Notch signaling in forebrain neurogenesis”. In January, the PhD was officially awarded. So as my family expands and needs a bigger house, and my old way-to-spend-the-day came to an end, it was time for something new. Earlier this week, I started a new job as engineer at the big G. Rumor has it that I’ll be working on something related to video.